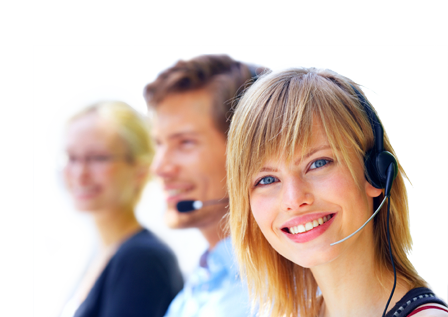 Telephone messages on hold is a super internal marketing and customer service tool. Not only do our professional productions sound fantastic, but they will also help you to entertain and educate your callers about your business. Think of it as your very own radio station, promoting your brand exclusively. Telephone messaging and music on hold will also appeal to your callers much better than what silence or chimes will. In fact, research has shown, that businesses with telephone message on hold installed are less-likely to experience caller hang-ups. Furthermore, you are sure to experience a higher level of enquiries about your products. Media Messages Gold Coast offer a range of telephone message on hold packages, so you can freshen your audio advertising program as much or as little as you need. 1. Contact our sales team and ask about our various packages. Once you have decided on which one is best for you, your account manager will assign you with a writer from our creative department. They wll then work closely with you to compile a list of information that you would like included in your telephone message on hold program, Interactive Voice Response system or after hours messages. 2. Once your script has been approved by you, we will then send it on to our audio engineers, who will get your chosen voiceover artist to record your script. 3. From there, our audio engineers will mix and manipulate your voice recordings to they are clear and concise, they will then further enhance your production by adding appropriate sound effects and royalty free music. 4. We can then send you your audio production via email for you to upload to your phone system, alternatively, we can supply you with the latest in on hold messaging equipment (and arrange for a technician to install if needed). Our equipment is easy to use, and in most cases updates are sent to you on a USB or via the Internet..
Sound professional, reduce caller hang-ups and increase inquiries with a telephone message on hold program, written, voiced and produced by our qualified audio practitioners. Media Messages is the Gold Coast''s leading music onhold and onhold message provider. Our on hold audio productions incorperate Australias leading voice over artists and the latest in production music, making your messages on hold more entertaining and fresh. All our packages come with the latest digital on hold systems which are designed to work with all types of phone systems. Get you free on hold message today to see why we are the number 1 provider of music on hold in the Gold Coast.